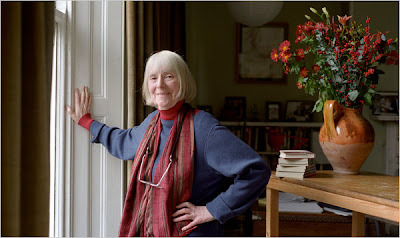 It may surprise you to learn that my favourite author (in the whole wide world) is Eva Ibbotson. Is, I say, even though, on October 20, 2010, she died. The thing is, it came as a complete shock to me to read the word Obituary alongside her name, because she wasn't supposed to die. Ever. Or at least not yet. Thirteen years I've been dredging up the courage to write to her, and failing miserably, because all I wanted to say was "I love you!" "You make me so happy!" And other toe-curling embarrassments. And then a few days ago, I did what I've been doing for years - I 'searched' for her, online. And... I know. It's not about me. She was a wife, a mother, a grandmother. But I loved her all the same. 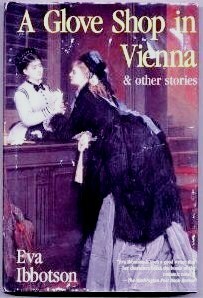 She always wrote happy endings for her children's books, inspite of, or maybe because of her own childhood landscape of Hitler, and leaving Vienna, her parents' divorce and living with elderly (moustachioed) aunts; her adult romances are the essence of poetry, but practical, in the way only women can be. And when I was 18, and lupus had just confined me to bed, my father scoured the Little Shelford library, and the book he discovered and carefully brought home to me, was A Company of Swans by Eva Ibbotson. So why, oh why, didn't I write to her? I think... I didn't write... just in case... she didn't write back. And I realise I have tried to be amusing, because she always was, because this is not an obituary. But I am only pretending. The truth is, I am grieving, for someone who was never really mine. But her words are with me, which is all that matters. Right? At least, that is what I shall tell myself, for the rest of my life. Is there anyone you wish you could have written to? Is there anyone you did write to? And, if so, was it a good idea? I love you Maria Charlotte Michelle Wiesner, otherwise known as Eva Ibbotson! You make me sooooo happy!!! She most certainly is yours, and now you have given me Eva Ibbotson (for I did not have her before). The heart is supple and vulnerable and latches on to the familiar, I think. I have been grieving for you in pain, and so I see your grief over losing Ibbotson as lupus grief. The possibility of connecting with this artist who gave you living and breathing joy upon your own illness's embarkment, and then herself was ridden by it herself, must have been a beautiful hope within you while she lived. It must be grief indeed, in the presence of your close companion, pain, to say good-bye to her. I hope her spirit will come to you and say, "I love you . . . you make me so happy!" Because of course, she does, and you do. Ruth - as ever, you see inside. I nearly wrote that connection, but instinctively knew I wouldn't need to, because my readers, my Ruths, would read the sound in my silence. While I was writing, I was thinking about the revolution in Egypt, and wondering what my small pebble of grief had to do with anything. But I heed your advice, and keep writing. Oh, this pains my heart, "I didn't write... just in case... she didn't write back." I have lived parts of my life that way, and have regretted it, however putting ones heart/life/words out there is a feat, as well, a walk of faith, one that I am not always strong enough (or able) to do. Thank you for the sweet introduction to Eva, I can imagine the kindred spirit you must have found in her. Just stopping by to say hello. your post was insightful as your writing always is. 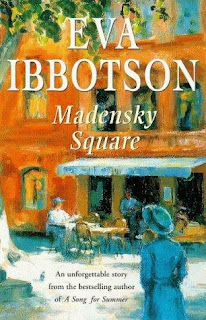 The thing for me about Eva Ibbotson is that I only discovered her a couple of months ago. Yes, I had seen her books on the shelves but I'd never...really looked at them. It's sad because she was such a great author for all ages. But she was 80 - a good age. Such a sweet tribute. She sounds like she was absolutely wonderful. Then at uni, a classmate at college turned out to be Terry Pratchett's daughter. And on finding out I was struck dumb and couldn't bring myself to actively be-friend her for fear I was sucking up. Damn. So. I no longer think to contact writers. I haven't written to an author but I did send an email to a lovely local jazz singer that I saw about six years ago. By chance, I bought her CD because it had a song, "On a San Francisco High," written by her husband and I was preparing a gift basket for a friend who was visiting our fair city. I loved the CD and got one for myself. Six months later, I saw her perform, sent her an email and the rest is history. I became a devout fan and we became fast friends, corresponding, meeting for lunch and drinks. I was so sad when she and her husband, Jerry, moved to L. A. They continue to be successful and do get back to San Francisco to perform from time to time. I really fell in love with her storytelling. And know what you mean. One of my favorite authors--Madeleine Brent (who I have a really great feeling that you will love these books too) is really a pen name for Peter O'Donnell. Well, I wanted to write to him for years, and then forgot about it for a while. In that time frame of "forgetting about it" he passed away:-( Oh well, that's life. But, these authors will live on in their stories. It's like having a piece of them in our house with us always.